On January 23, 2019, the Portland, Maine, City Council voted unanimously to adopt a Back from the Brink resolution, formally introduced by Mayor Ethan Strimling and co-sponsored by City Councilors Pious Ali and Brian Batson. A group of 21 health, faith-based, environment, and peace organizations from across Maine endorsed the resolution and brought it to the attention of the City Council. Speaking in support of the resolution, Dr. Peter Wilk, a Physicians for Social Responsibility (PSR) Maine Board member, reminded the city council that they had approved a resolution just over 20 years ago, at that time already recognizing that “nuclear weapons pose a continuing threat to civilization and to life itself” and “municipalities have been targets of nuclear weapons throughout the nuclear age”. 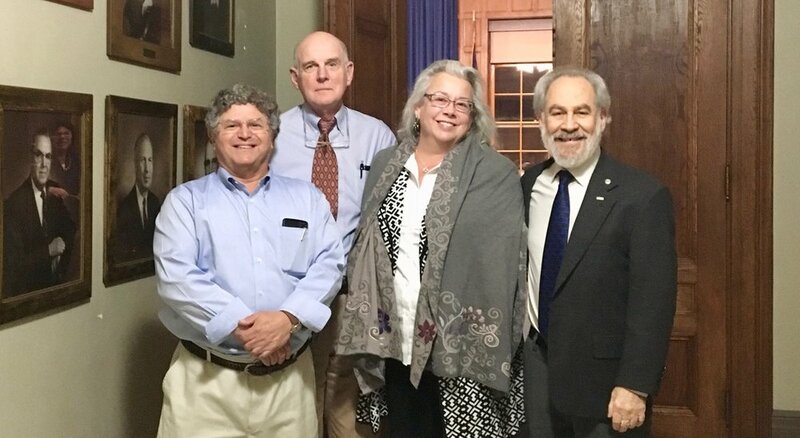 Dr. Daniel Oppenheim concluded the public testimony in favor of the Back from the Brink resolution by conveying support for it from the Public Health Committee of the Maine Medical Association.